Today, the New York Times has - very generously - suggestetd that the pardon power "for most" of the Obama adminsitration, has been "treated" as "an afterthought." Indeed, the first term was the least merciful since George Washington's first. 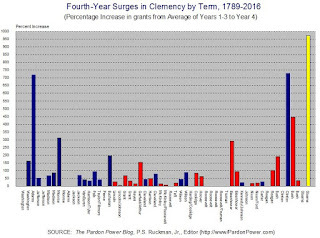 Now, the President is engaging in the largest fourth year clemency splurge in history. The Times correctly notes "thousands of men and women" have "endured outrageously long sentences for low-level, nonviolent drug offenses as a result of the nation’s misguided drug war," but President Obama has "granted relief to only a tiny handful." 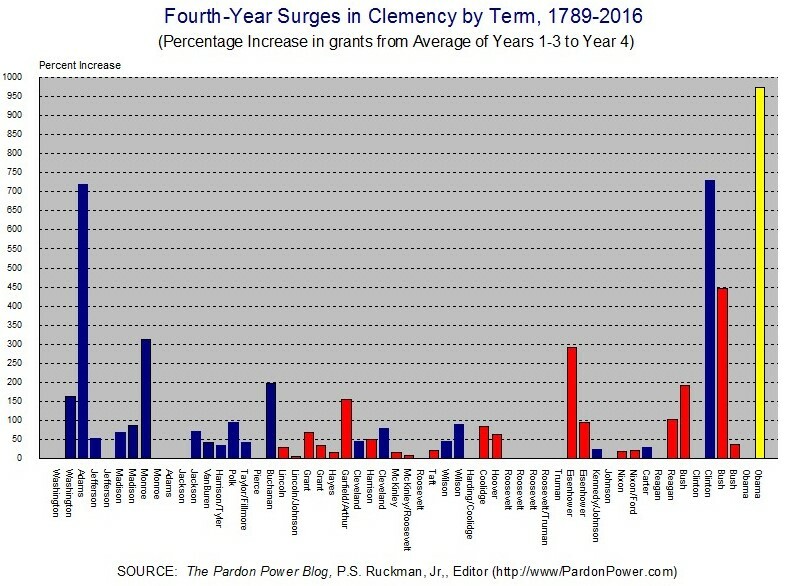 With only weeks left in office, Mr. Obama should consider a bolder approach: blanket commutations for those inmates still serving time under an old law that punished possession or sale of crack cocaine far more harshly than powder cocaine - a meaningless distinction that sent disproportionate numbers of young black and Latino men to prison for decades .... Mr. Obama could order the release of most of these people right now. If he is worried about some committing new crimes, he could prioritize those who prison officials have already determined pose the lowest risk of violence. 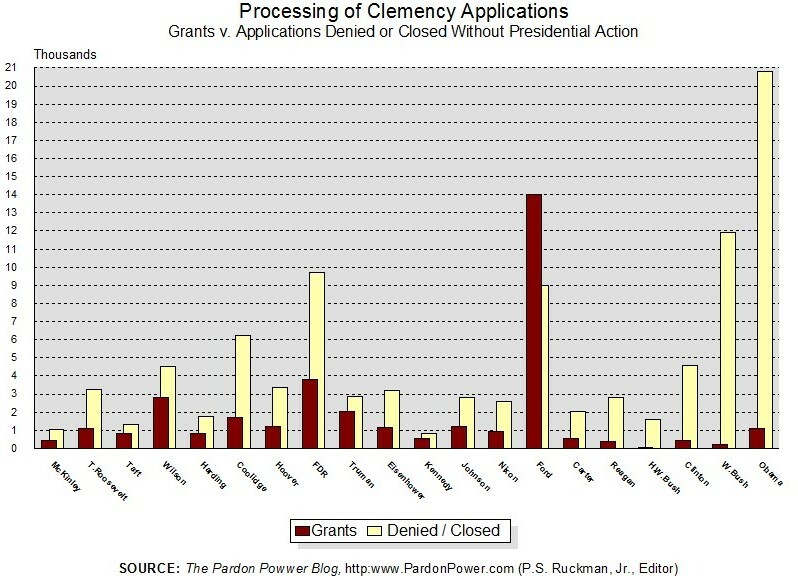 Or Mr. Obama could commute their sentences to what they would have received under the current law. A "blanket commutation," says the Times, could also include "thousands more nonviolent offenders in low-risk categories, including elderly inmates" (See our commentary here, at page 478). Indeed, were President Obama to do such a thing, he would not be the only person ridiculously slow at arriving on the scene. 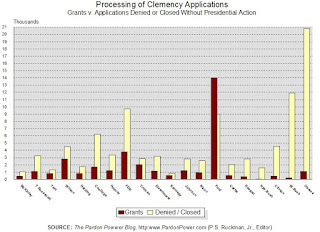 Many persons have called for a Gerald Ford type clemency board / amnesty / group pardon for some time now. The Times is doing some catching up as well. Thank you Professor, Yes the measure of mercy will not be measured by those who receive this mercy, but will be tempered by those who are left behind. Thank you for your diligence and continued enlightment.